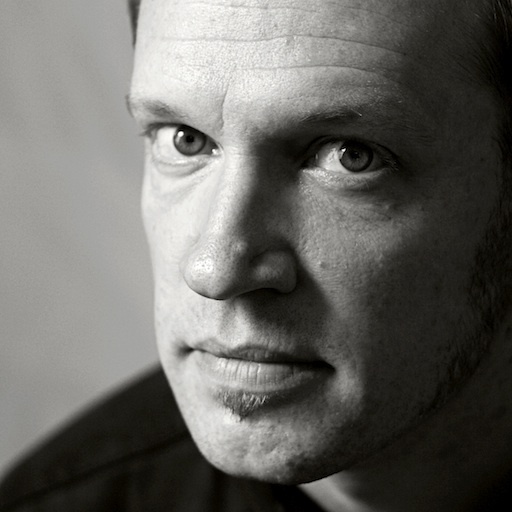 This spring I’ve been busy teaching an Information Architecture course in the Master’s degree program in Content Strategy at FH Joanneum University of Applied Sciences in Graz, Austria. The course begins by exploring how the principles of placemaking and wayfinding from the physical world apply to digital information systems. As an introduction to the practice of information architecture, the course covers the fundamental concepts of structural design that provide the foundation for shared information environments, including organization schemes, labeling, navigation, and search systems. Students learn to evaluate existing information systems in practical exercises with public content, applying their knowledge to visualize structure and recommend improvements to support usability, findability, and understanding. In this semester’s exercises, IA students drafted sitemaps for museum organizations, indexed technical documentation for the DITA Open Toolkit, proposed navigation refinements for the Universalmuseum Joanneum and analyzed the information architecture of eBay’s German seller center portal. I’ve been impressed with many of my students’ recommendations in these exercises and I’m confident that some of their suggestions may be incorporated into future iterations of the information systems they analyzed. These practical applications and the interdisciplinary approach distinguish the Master’s program in Content Strategy at the University of Applied Sciences by providing students with direct access to content industry experts and a broad range of project partners. The program is now in its third year, and this semester there’s been a strong focus on connecting the content of the courses in Content Auditing, Information Architecture, and User Research and Interaction Design. 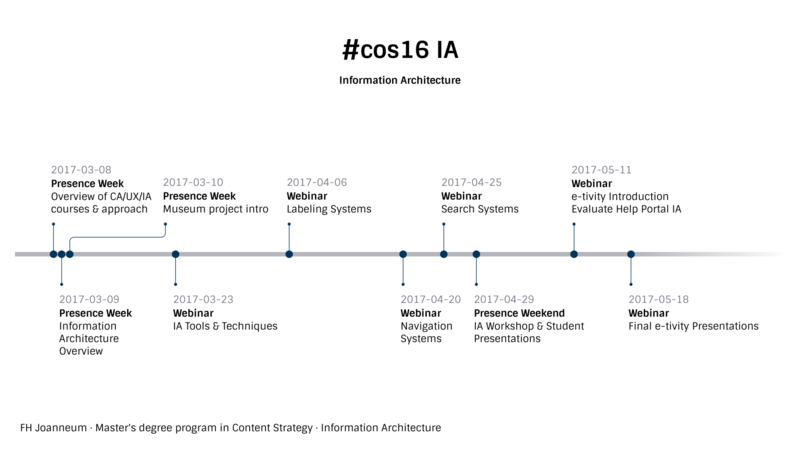 In a recent blog post on the university website, Lisa M. Moore describes how our common project came about and how the related disciplines that comprise an enterprise content strategy can work together to craft a coherent experience. I am very grateful to Lisa for bringing me into the program, and it’s been a pleasure working with her and Christopher Lee Ball, Head of User Experience at Digitas LBi to bring these courses together. We’ll be wrapping up our portion of the program next week in London, where students will meet with content teams at Facebook and the UK’s Government Digital Services, and test their prototypes at DLBi’s in-house user testing facilities. If you’re interested in earning a degree in Content Strategy, the university is now accepting applications for the 2017 program. The latest version of my Bootstrap plug-in for DITA Open Toolkit 3.3 generates HTML5 output with a Bootstrap 4 styling base. 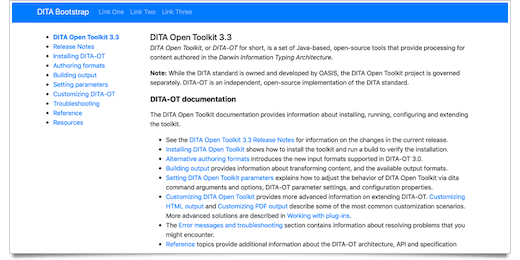 The OASIS Darwin Information Typing Architecture (DITA) TC announced a new version of their Committee Note “Lightweight DITA: An Introduction”. 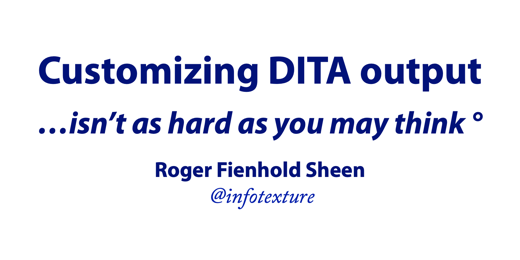 At DITA Europe in Rotterdam, I spoke about producing custom output with DITA Open Toolkit and suggested it may no longer be quite as hard as you recall. DITA-OT 3.2 introduces a new plug-in registry that makes it easier to discover and install new plug-ins via a searchable list at dita-ot.org/plugins.